Jordanne Menzies knows that nothing can hold her back. 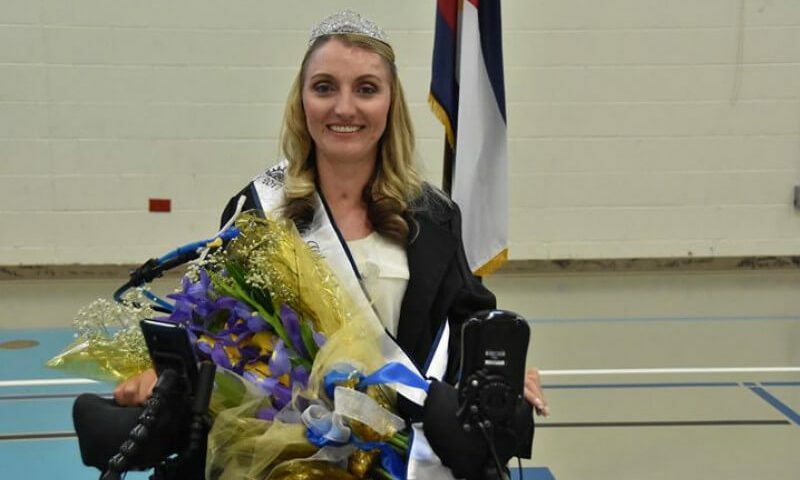 The native Coloradan, who was just crowned Ms. Wheelchair Colorado 2017, comes from a big family based in Grand Junction. At 18, Jordanne fell asleep at the wheel. She woke up in the hospital and soon realized she was paralyzed from the shoulders down – and this was the first challenge of many for Jordanne to overcome. In the months that followed, she spent the majority of her time in recovery, working her way through physical therapy and rehabilitation programs, including one at Craig Hospital, a world-renowned facility in Englewood that specializes in spiral cord injuries and brain injuries. Despite the challenges that she faced, Jordanne has remained brightly optimistic in her outlook on life. It didn’t take her too long to find ways to turn her disability into a source of advocacy. When Jordanne found out about the Ms. Wheelchair Colorado 2017 contest, she immediately expressed interest in competing. She joined the competition because she liked what the Ms. 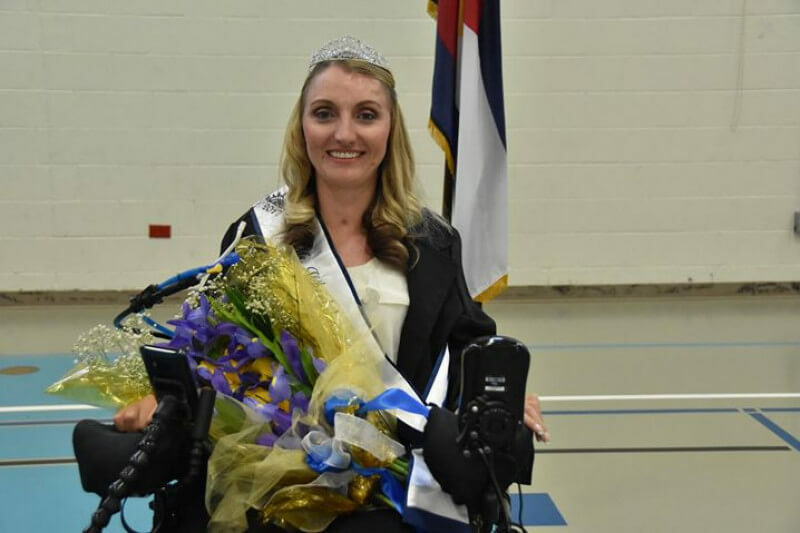 Wheelchair Colorado contest stood for; the contest is not a beauty pageant, rather, it focuses on advocacy for people with disabilities. It seeks to offer women with disabilities a platform to reach others seeking support and to make a difference in her local communities. Jordanne’s platform centers on helping children with disabilities. She drives impact by targeting local schools, where she initiates conversations about accessibility. Another mission that Jordanne is passionate about is to speak to high school students about suicide prevention. Jordanne has experienced these feelings of depression after her accident and wants to share her story with these students. On top of these two major issues, Jordanne wants to address bullying in the local high schools. Key to her message is the importance of finding trusted individuals to talk to about instances of bullying. Jordanne plans to share her personal experience with bullying, which she believes will be hugely powerful for her teen audience. Jordanne also sees a need for quality therapy in the Grand Junction area, which lacks options for someone in a seeking therapy and other medical resources. Jordanne’s next goal is to compete in the final competition, Ms. Wheelchair America 2018, in August. This is a once-in-a-lifetime opportunity for Jordanne to fly to Pennsylvania and compete in the national competition. Jordanne needs your help if she is going to be able to travel to Pennsylvania. She is currently raising funds through her Go Fund Me page to be able to travel to this next step to compete. With her dedication and upbeat, positive attitude, Jordanne is a fantastic representative for the state of Colorado. She could absolutely win the national competition if she is able to get there to join contestants from every state who are also seeking this prestigious title. Jordanne is asking the community to help her get to Ms. Wheelchair America. The Go Fund Me link is below for anyone who would like to donate today to her road to Pennsylvania!